The brother of Jeff Bezos‘ girlfriend might just be the one who leaked intimate texts to the National Enquirer, according to a new Daily Beast report. Two sources told the Beast that the leaker is Michael Sanchez, brother of Lauren Sanchez, the woman Bezos exchanged messages with. 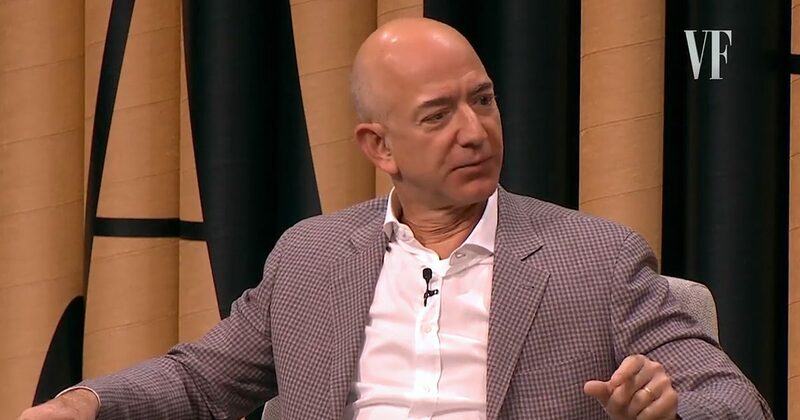 Bezos has accused the tabloid of blackmailing him in an attempt to end his investigation into how they obtained his texts for a piece published in December. The feds have reportedly launched a probe into the blackmail allegation. Elkan Abramowitz, a lawyer for the tabloid, told George Stephanopoulos Sunday on ABC that the source of the embarrassing texts was known to Bezos. In a story that is rife with salacious and made for soap opera moments, it also turns the Sanchez brother is a Trumpworld associate who is associated with Roger Stone. For the record, AMI has vehemently denied that their story was politically motivated.